The customers that walk through the doors of every United Access store aren’t just customers; they become long-term partners, friends, and family. Cathy Contarino is one of those people. Cathy, Executive Director at Impact Center for Independent Living, has been a customer of United Access for more than 20 years. 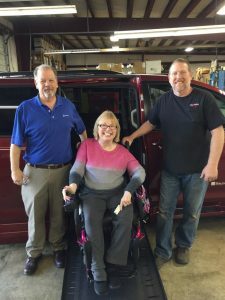 Through the years, Cathy has owned four full-sized vans that they brought in to be serviced by United Access, and then later purchased four wheelchair accessible minivans, and she’s trusted the Mobility Specialists at United Access to help customize each vehicle to her specific mobility needs. Without reliable accessible transportation, it can be challenging for wheelchair users to get back and forth to work, get to doctor appointments, and even everyday errands become trying. In Cathy’s role at Impact, an organization that helps people with disabilities achieve maximum independence in work, school, house and every part of life while participating equally in their community, it’s vital that she makes it into the office each day. 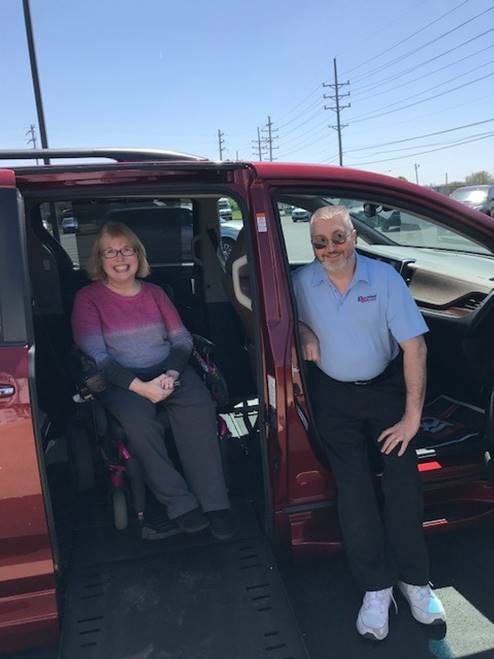 Without her wheelchair accessible van, Cathy would not be able to operate this non-profit organization like she does today. Helping people isn’t just important to Cathy; it’s a value that the Contarino household holds dear. Cathy’s husband, Matt, started looking for a change in his career. He wanted to be with a company where he could make a difference in people’s lives. Cathy, who followed United Access on Facebook, saw that they were hiring so she suggested that Matt apply. Matt has now become part of the United Access family, working as a Title Specialist at the corporate headquarters in St. Louis. 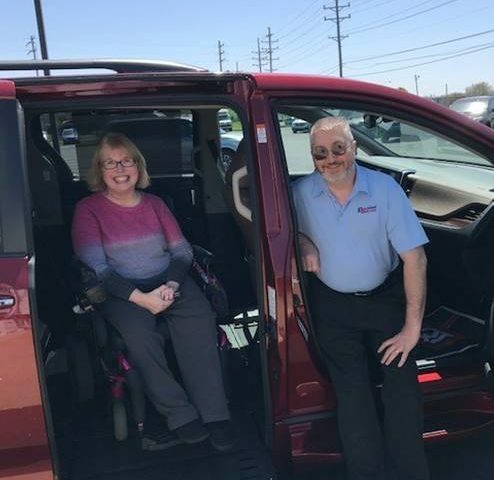 This month, Matt and Cathy purchased a 2016 Toyota Sienna with a BraunAbilty conversion as their latest wheelchair accessible van. We can’t wait to hear about all of their new adventures!